The Hudson River has been a point of photographic fascination for me for over a year. This series of photographs chronicles a journey that tourists, merchants and residents of New York have taken, by both ship and train, for over 150 years. My images span from New York to Albany and feature Catskill, Hudson, West Point and Hastings-on-Hudson. 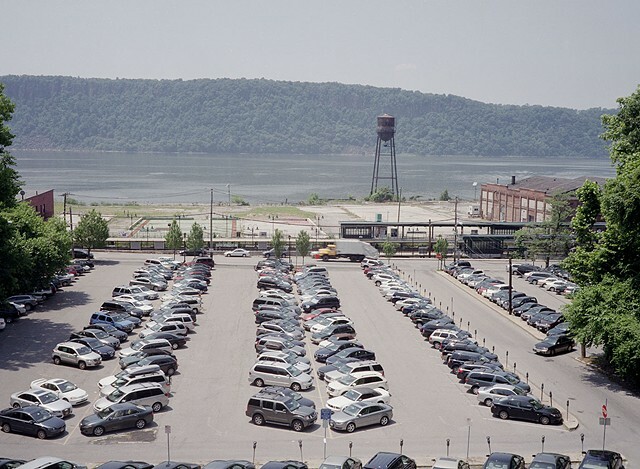 I began my process by photographing on from the window of a train going from Albany to New York. Later I departed from a voyeuristic perspective and visited historical places that were documented by the painters from The Hudson River School, a mid 19th century group of artists. While visiting these locations I also photographed the areas I discovered along the way. The banks of the river are scattered with historic views yet it is an ever-changing landscape that has seen its share of highs and lows. I have aimed to share magnificence of the river and the aspects of it that made me so enthusiastic about documenting it. This project was made possible with the help of Fordham University’s Undergraduate Research Grant which funded a research expedition through the Hudson Valley in the summer of 2012.